Two comics from Wednesday, June 4, 2014. Plus your Nerd Confessions (about your favorite alien in comics, tv, or movies). 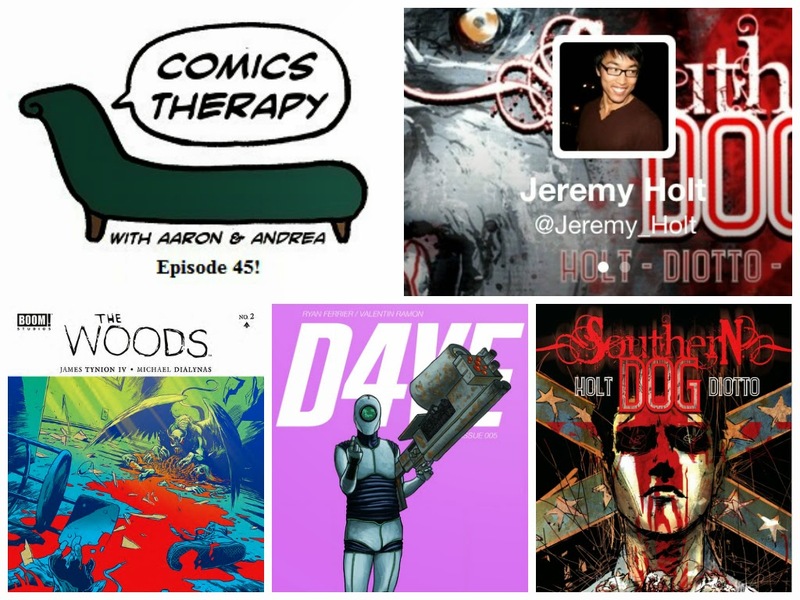 On The Couch: writer Jeremy Holt. This week we’re talking about the classic threat that has peppered speculative fiction for centuries - alien invasion. It’s a theme that we’ve touched on before, but so has virtually every civilization since the dawn of time. We’re discussing Earth under attack long after the demise of humans, leaving our successors to defend their lives and our legacy, and we’re taking a look at what might happen when the aliens themselves have home field advantage, and your only defense is a field hockey stick and some theater props. Also, that totally makes the humans the aliens, right? Mind blown. Pssshhhhhh. We may have lost the robot uprising, but the joke's on them. Recreated in our image, the robot's lives are just as empty and unfulfilling as humanity's. Until the aliens come. Dun dun DUH. Bonus: Andrea has no sense of humor. But Aaron already knew that. Transported to an alien world, the students of Bay Point Prep fight teachers, creatures and each other to survive. Dun dun DUH. Bonus: Andrea hates The Giver. Aaron is crushed. Comics, what? You may know Jeremy from his Multiversity column Strange Love or his books Southern Dog and Cobble Hill, both originally published by 215Ink. Southern Dog will be published by Action Lab Entertainment beginning in August. He is currently writing two books published by MonkeyBrain Comics, Art Monster and Skinned, the latter co-written by Tim Daniel.